2009 | One-day performance/intervention in public space. Tacna, Peru. This intervention was part of Proyecto Desierto: a collaborative project between Deçierto Picante from Tacna, Theatre Embassy and Cascoland from Amsterdam and artists from Latin America. 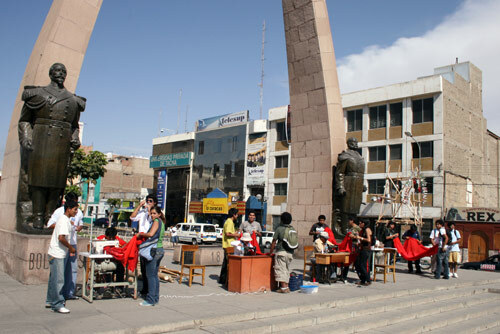 It took place between October to December 2008 in Tacna, south of Peru. 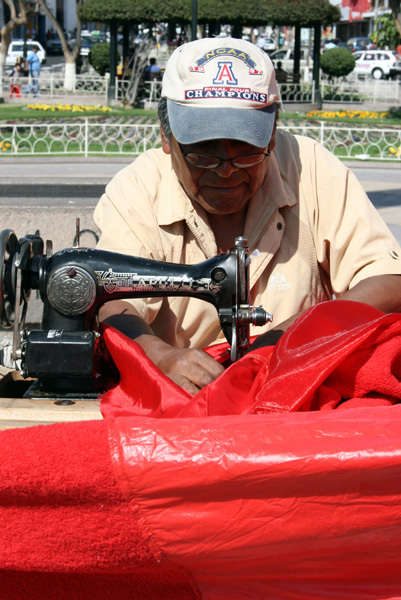 We asked four local tailors to sew the Peruvian flag putting together fabric remnants (of any kind, towel, lace, etc.) 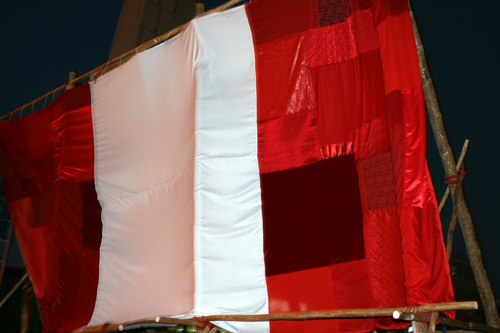 at the main square of Tacna, where the Peruvian flag is raised every Sunday in a patriotic ceremony. Likewise, our flag was also raised when completed and later used as a video projection screen, where images of other interventions taking place at the same time were shown. Peru is a country where nothing is wasted. The act of patching in this context is symbolic testimony for the cultural tradition of patching holes in clothing. 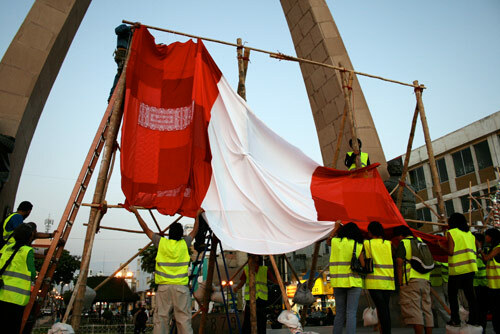 Sewing a “patched” flag as a public performance makes a deliberately strong statement; it presents a visual image of the country itself in repair, which is actually the case, constantly.